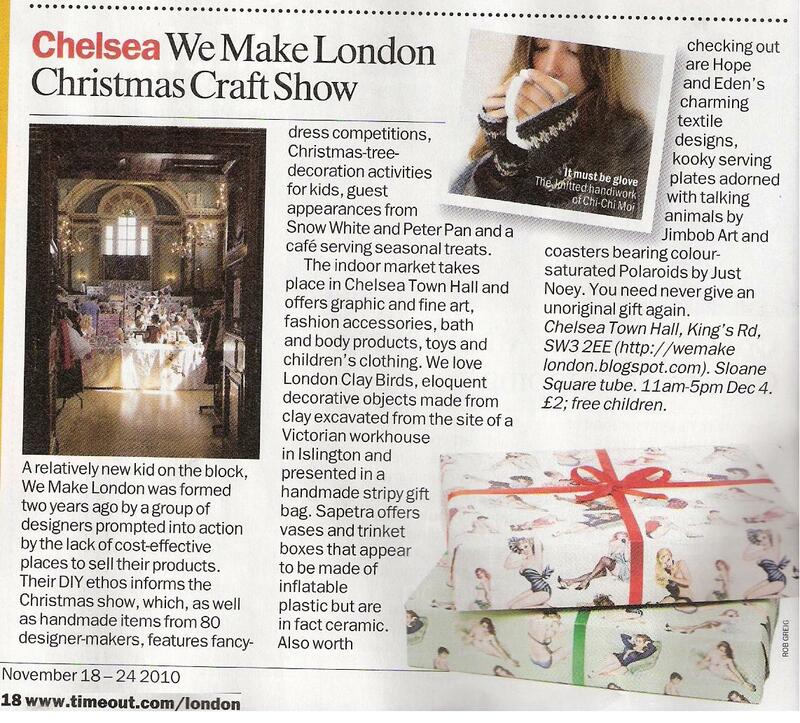 Only two weeks to go to the much anticipated We Make London Christmas Extravaganza! This is an extract from the TimeOut feature. The team have worked their socks off publicising the event and selecting the very best designer makers, so it is going to be well worth a visit. It’s a very popular fair, so best get there early! I’m sewing like a demon to make sure I have as many goodies as I can muster! I’m making some special limited edition Edwyn Dog Christmas ornaments as well as Christmas tree versions of the printed keyrings in some lovely festive colours! I’ll post pictures soon….. Plus I will have draught excluders, doorstops, cushions and the ever popular neckerchiefs. So do come along if you can, you’ll be in for a treat. And be sure to come and say hello!